If you believe that a fire stops doing damage when the flames go out, you’re not alone – but that’s not the case at all. The materials in your Texas home or business will continue to stain and corrode long after the fire has subsided. In order to keep damage to a minimum, immediate attention is required. Count on Rainbow International of Sugar Land & Katy for expert 24-hour fire and smoke damage restoration and mitigation services throughout Sugar Land, Katy, Richmond, and the surrounding area. FEMA defines mitigation to be preventing further destruction of property after a disaster such as a fire strikes. At Rainbow, mitigation also means being proactive and taking precautions to minimize risk to our clients. You, too, can help to mitigate damage by purchasing proper fire insurance and investing in fire-preventing community services here in the local community. Sometimes, a low, smoldering flame causes more damage than the fire itself. So as soon as a property is safe, our fire specialists begin to reduce the damage caused by smoke corroding and staining surfaces. Our experts know just how to deal with the complications associated with putting out fires – and with the damage they leave behind. Call Rainbow International of Sugar Land & Katy before attempting to repair damages yourself; again, we’re available 24/7. Open your windows to get the air circulating and reduce lingering smoke. Make sure that kids, pets, and any people are out of the building. Smoke is harmful to our lungs, and it’s important to get away from the carcinogenic gases that may escape during restoration. Find a temporary place to stay until the process is complete. If the power is out, immediately empty your refrigerator and freezer. After this is emptied, leave the door open to let the air circulate and prevent odor buildup. Take inventory of your house. List all of the items in your home that need to be replaced, and take photographs of the damage. This makes things easier for insurance companies and the fire investigation authorities. It is always safest to have at least five copies on hand. Because of toxic gases and smoldering ash, there are some unsafe tasks that are best left to the fire restoration professionals. 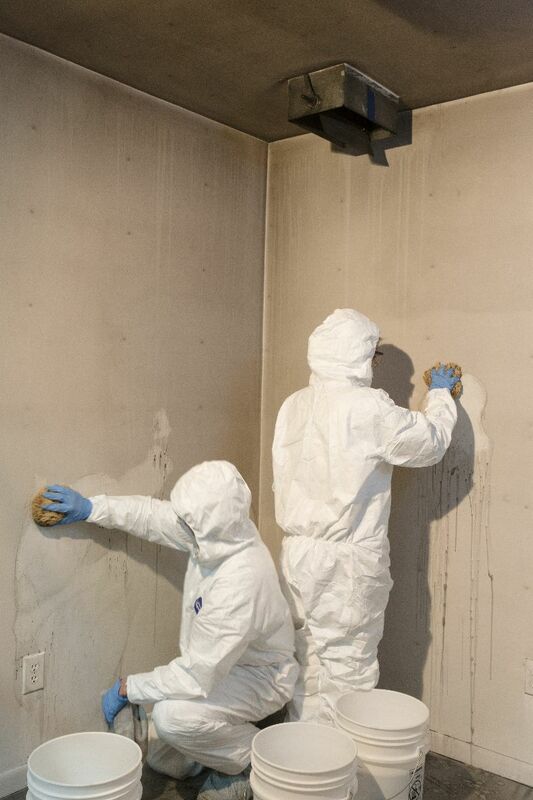 Refrain from washing down any walls, wood trim, furniture, or absorbent surfaces. Do not move or touch upholstered furniture. Do not eat anything that has been exposed to the fire. Do not use electrical systems such as the furnace or air conditioner. Keep your distance from appliances or electrical devices until our team gives you the okay. If you’re dealing with the remains of a fire, the longer you wait, the more damage you’ll need to repair. So call Rainbow International of Sugar Land & Katy without delay. We’ll make you glad you did. We rescue and restore fire, smoke, and water damaged homes and businesses throughout Sugar Land, Katy, and Richmond – and we’re proud to help get our neighbors back on their feet again.